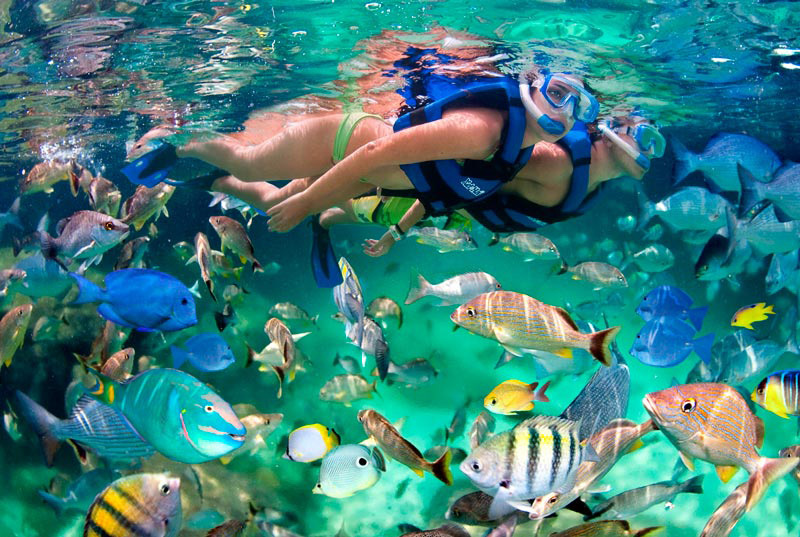 Xel Ha eco park is one of the most famous Cancun attractions since it's the biggest natural aquarium in the world, if you like snorkeling and fun, you'll love Xel Ha! 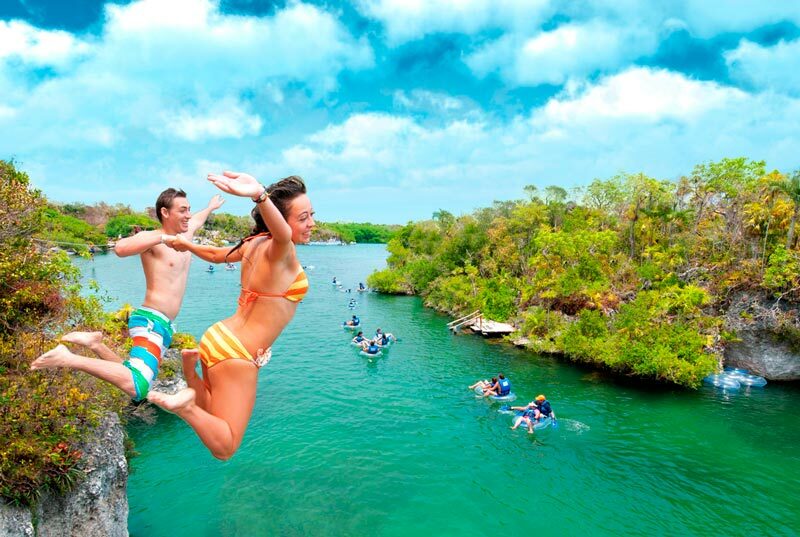 Xel ha water park offers you more than 20 family attractions with no extra cost. 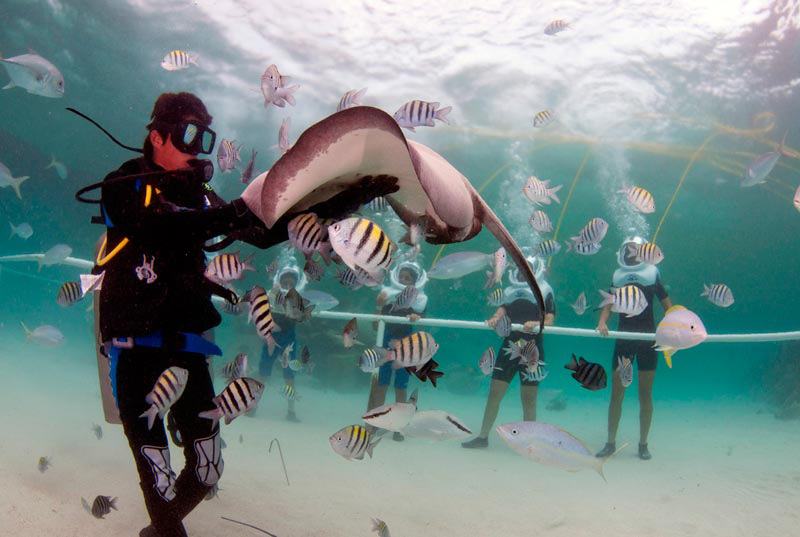 Get your Xel Ha tickets now and enjoy one of Cancun best tours. 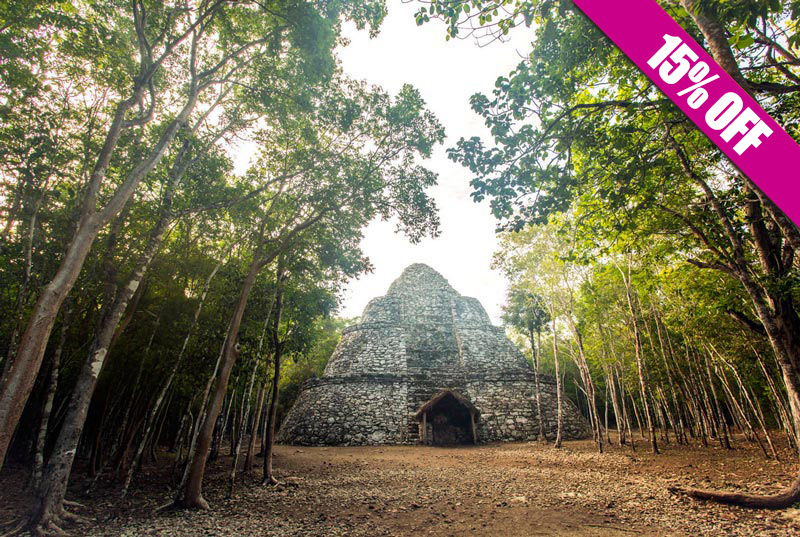 The tour Coba + Xel Ha All Inclusive is a 2 on 1 incredible journey. 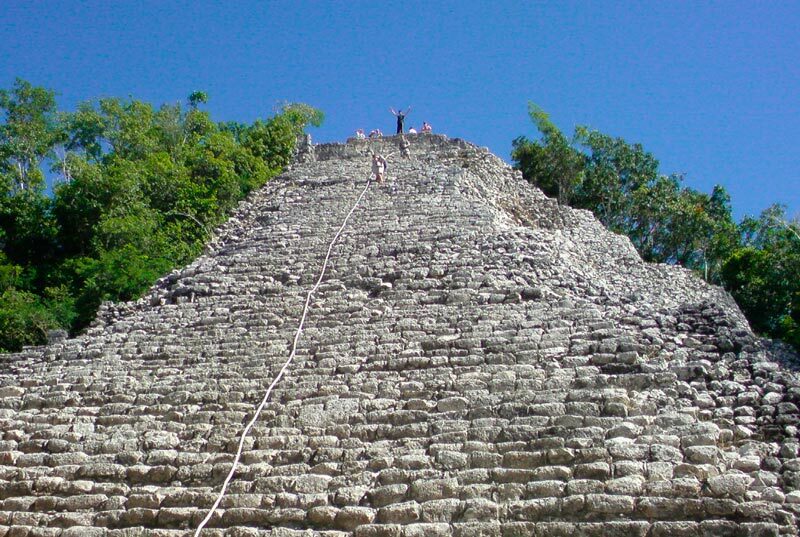 Start with a 2.5 hour guided tour in Coba archaeological site, where you'll find the tallest pyramid in the Yucatán Peninsula (climbing the pyramid is allowed) and then dive deep into Xel-Ha, the biggest natural aquarium in the world, where you'll be able to enjoy snorkeling and plenty of water activities. 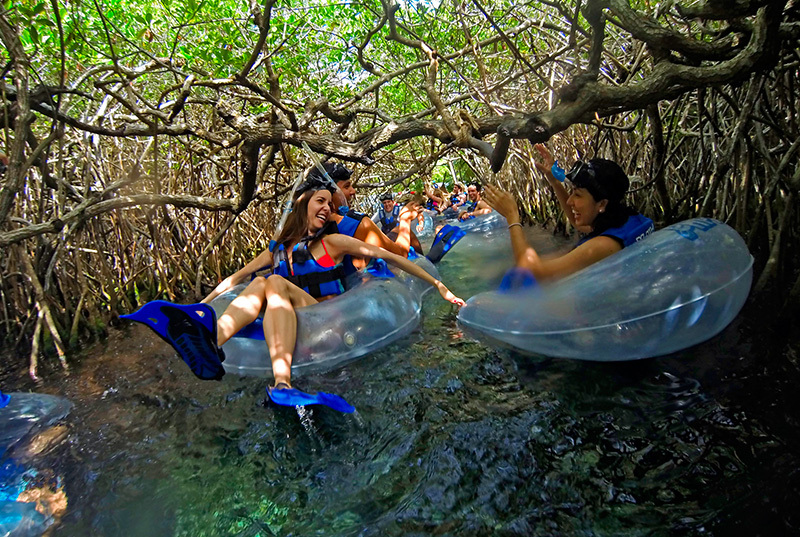 Enjoy this "mayan-aquatic" adventure, book now! Round trip transportation and bilingual guide. 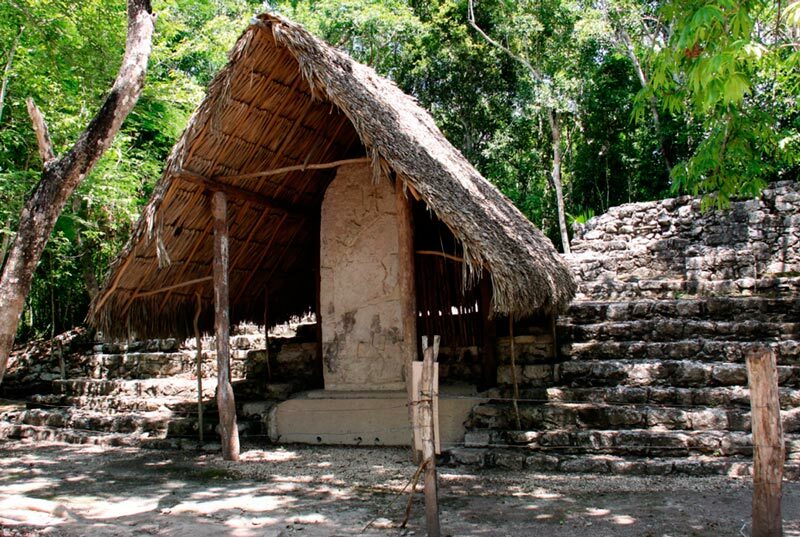 Access and tour in the archaeological site of Cobá, bilingual specialized guide (duration: 2:45 hrs.). Access to Xel-Há Park from noon (12:00 p.m. - 5:30 p.m.). 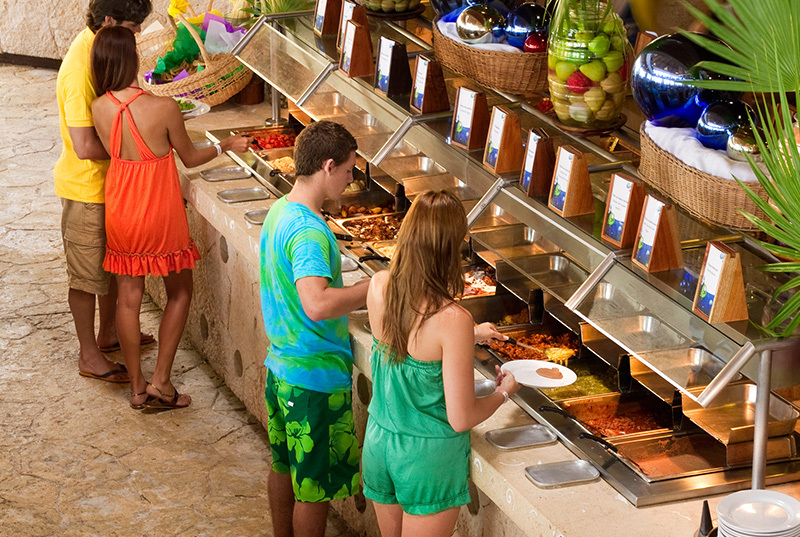 Lunch buffet, unlimited drinks and national open bar. 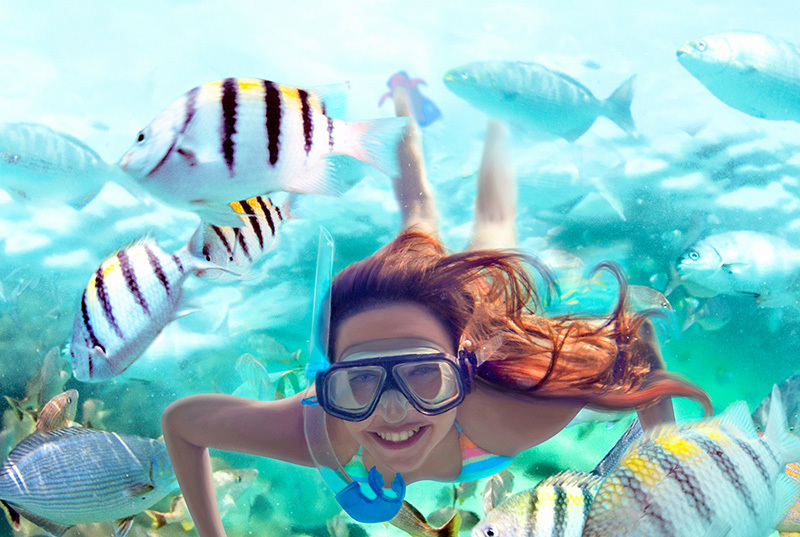 Use of snorkeling equipment (requires a refundable deposit of $ 20 USD.). Comfortable clothes and shoes, sunglasses and biodegradable sunscreen. Swimsuit, dry clothes, towel and credit card or cash for souvenirs, personal expenses or optional activities. Only 13+ years old children. Not available to people with asthma, sinusitis, epilepsy, high or low blood pressure and pregnant women. Show on time with printed voucher. The transportation that will pick you up at your hotel may have the logo of any of the parks: Xcaret, Xel-Há or Xplor or the company logo Experiencias Xcaret. 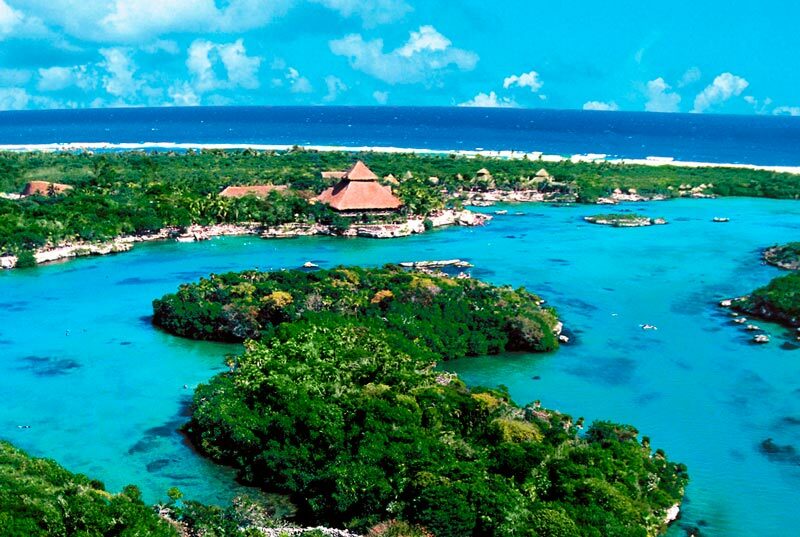 Tour to Xel-Ha, "the place where the waters are born". 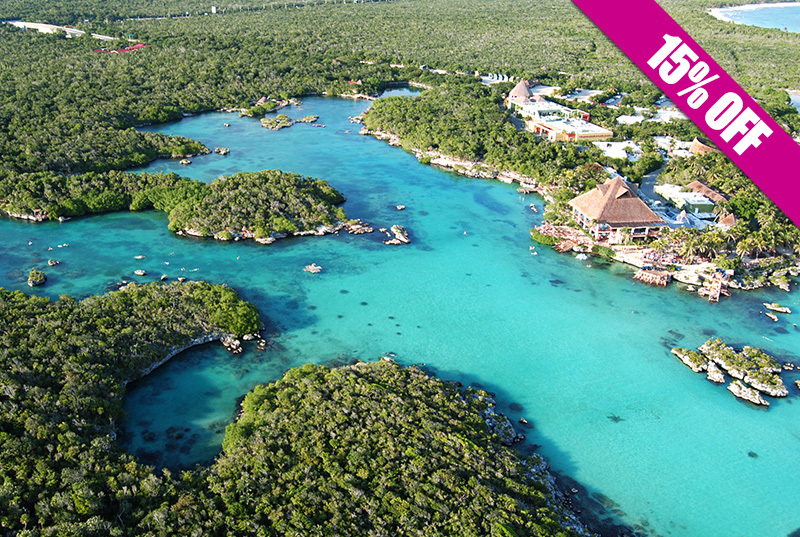 Enjoy this natural paradise full of coves, cenotes and ponds. 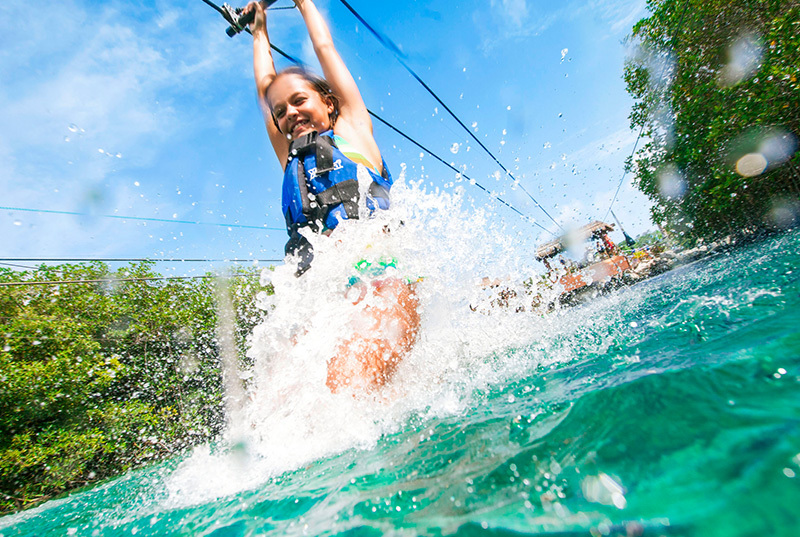 Xel-Ha offers +20 attractions and activities included such as snorkeling, ziplines, jumping from a 12 feet cliff to the water, or just floating on a tire through the river, ideal for families or couples. 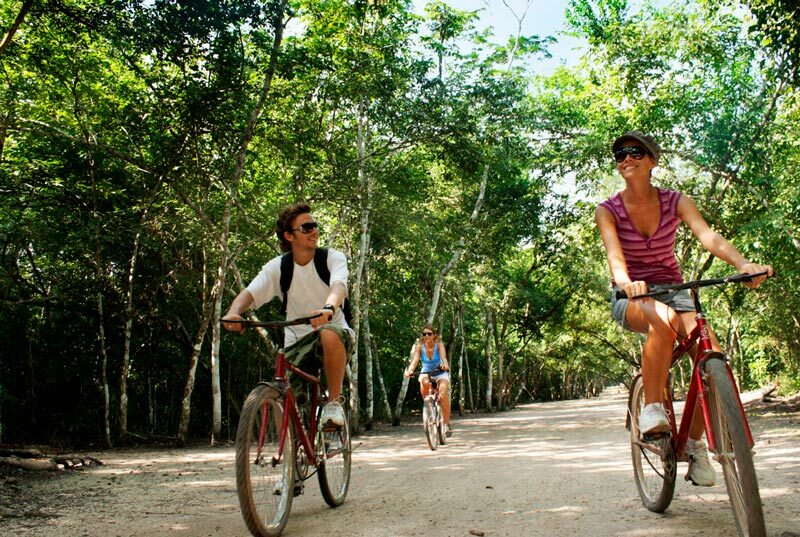 Enjoy this Natural Wonder of Mexico: transportation, unlimited drinks and meals included. You have to live this, book now! Use of snorkeling equipment (refundable deposit of $ 25 USD). Continental Breakfast from 9:30 to 11:30 a.m., and buffet lunch from 11:30 a.m. to 6:00 p.m.
Use of lockers and towel. Visit attractions such as Meliponary and Vivarium. 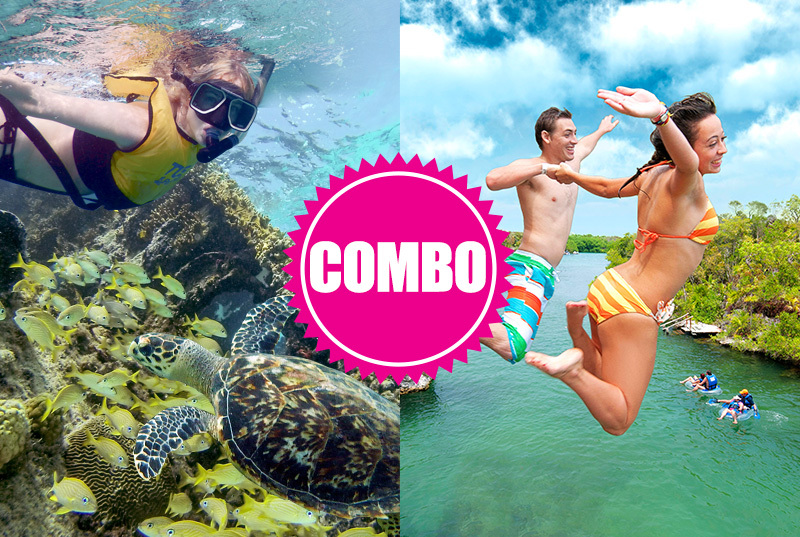 Enjoy 2 of Cancun's main attractions on the same day. 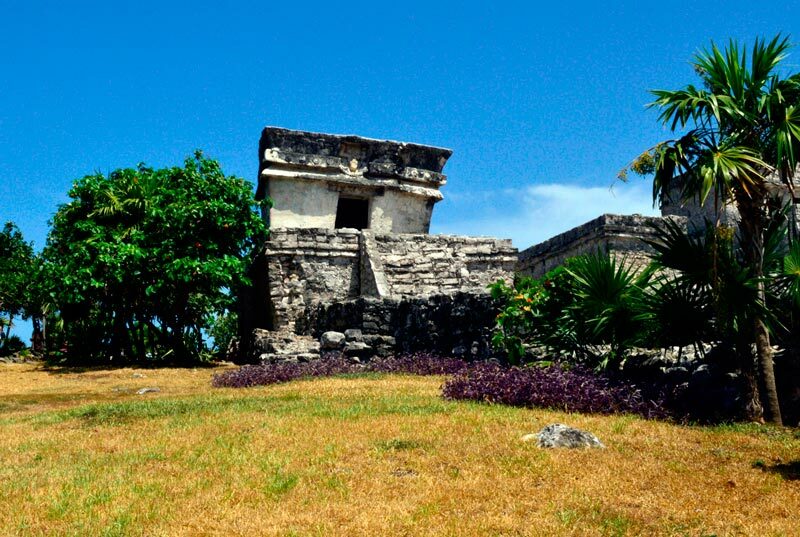 First admire the magic of Tulum, the ancient Mayan city built right next to the Caribbean Sea (2 hours guided tour). 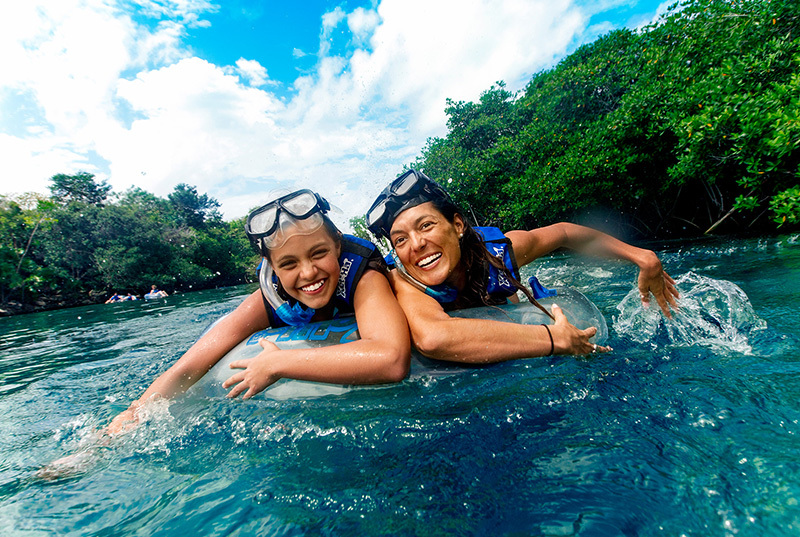 Then submerge yourself into Xel-Ha's inlet, the world's largest natural aquarium where you'll be able to snorkel, eat and drink as much as you want. Transportation, snorkeling equipment and amenities are already included. 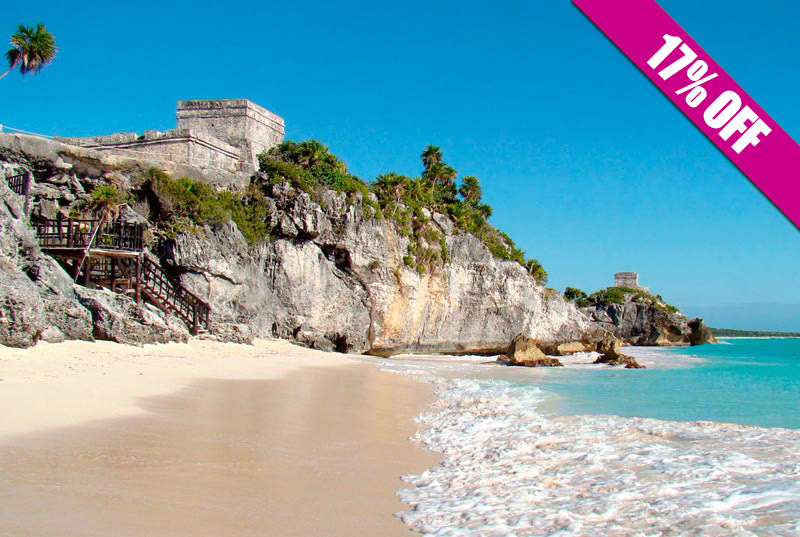 Book your Tour Tulum + Xel-Ha All Inclusive right now! 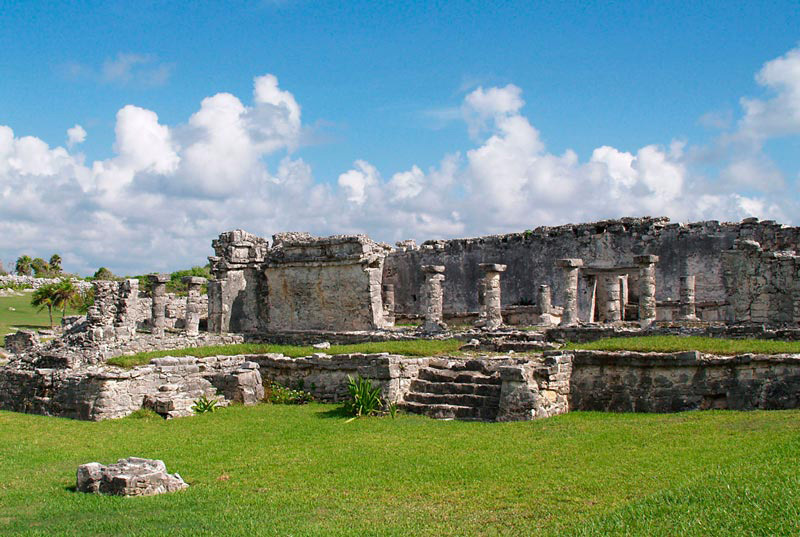 Access and tour in the archaeological site of Tulum. Bilingual specialized guide (duration: 2 hr.). Access to Xel-Há Park from noon (12:00 pm - 5:30 pm). Use of snorkeling equipment (requires a refundable deposit of $ 20 USD). Optional activities as swim with dolphins, snuba, massages, temazcal, etc. Swimsuit, dry clothes and towel.